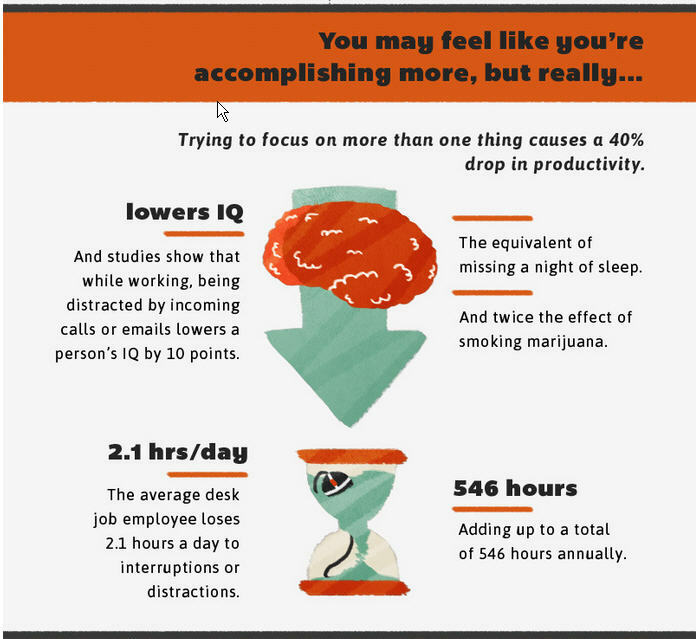 To achieve 28% increase in across the board business productivity – get everyone on your team to quit multitasking! The more time you spend switched to another task, the less likely you are to get back to your original task. This how loose ends pile up. The research is overwhelmingly clear. It’s insane knowing how multitasking leads to mistakes, poor choices, and stress! Workers who use computers during the day change windows, check e-mail, or other programs nearly 37 times! Media multitaskers actually experience a thrill with switching—a burst of dopamine—that can be addictive. Without it, they can feel bored. Still Not Convinced Are You? After my last blog I received an email from a friend, Mark, an employee of one of my customers. 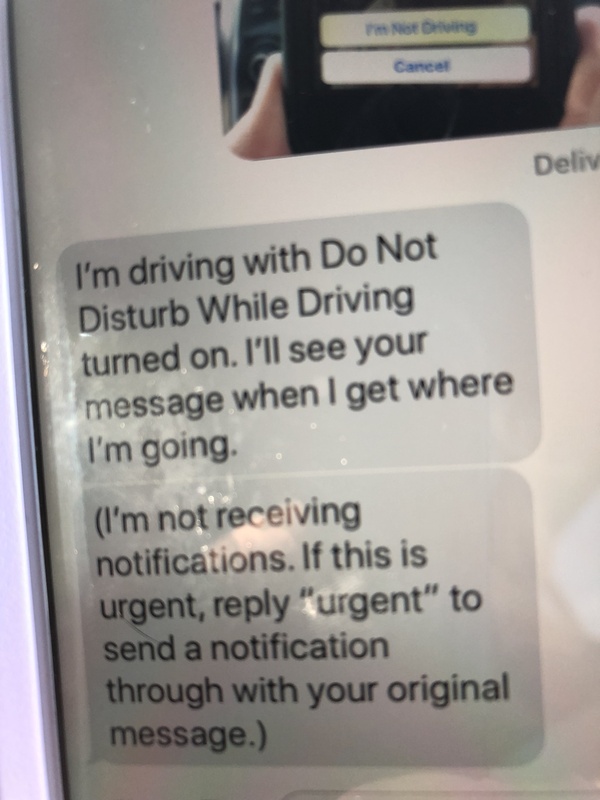 He mentioned his phone warns him now not to be driving (See Picture), just as my Waze navigation app warns me not to drive and look for directions. Multitasking can be fatal when lives are at stake. We fully expect pilots and surgeons to focus on their jobs to the exclusion of everything else. Anyone in their position who gets caught doing otherwise should be taken severely to task. We accept no arguments and have no tolerance for anything but total concentration from these professionals. And yet, the rest of us are—live to another standard. Do we not value our own job or take it as seriously? Why would we ever tolerate multitasking when we’re doing our most important work? Just because your day job doesn’t involve bypass surgery shouldn’t make focus any less critical to our success or the success of others. It may not seem so in the moment, but the connectivity of everything we do ultimately means that we each, not only have a job to do, but a job that deserves to be done well. Think of it this way. If we really lose almost a third of our workday to distractions, what is the cumulative loss over a career? What is the loss to other careers? To businesses? When you think about it, if you don’t figure out a way to resolve this, you could in fact lose your career or your business. Or worse, cause others to lose theirs. On top of work, what sort of toll do our distractions take on our personal lives? Ever see a couple dining, with one partner trying earnestly to communicate while the other is texting under the table? My heart aches when I see it! For The ONE Thing to work, you can’t buy into the lie that trying to do two things at once is a good idea. Though multitasking is sometimes possible, it’s never possible to do it effectively. Positioning Systems’ Strategic Discipline helps mid-sized($5M - $250M) business Scale-UP. More importantly, we’re experts at keeping The One Thing – Your One Thing! Are you avoiding a conversation with yourself on how you can grow your business? Contact dwick@positioningsystems.com for expert help to Scale Up your business! 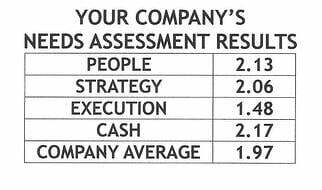 Or take our Four Decisions Needs Assessment to discover how your business measures against other Scaled Up companies. We’ll contact you. 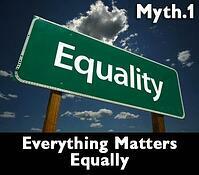 You might argue when you multitask you’re making everything matter equally. In reality, you’re losing concentration on what matters most. If you feel you have to do every thing, and don’t value the Prioritization, join us next blog when we revisit Lie #1 Everything Matters Equally.